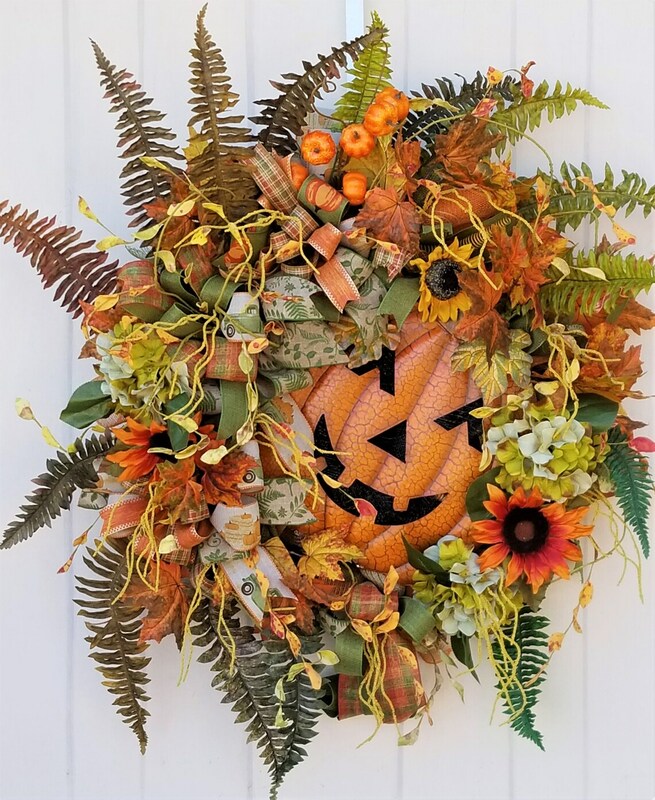 This handmade fall wreath will bring some spooky flair to your entryway! The wreath itself is made of grapevines and is complemented by the orange, yellow and red leaves and fall florals. 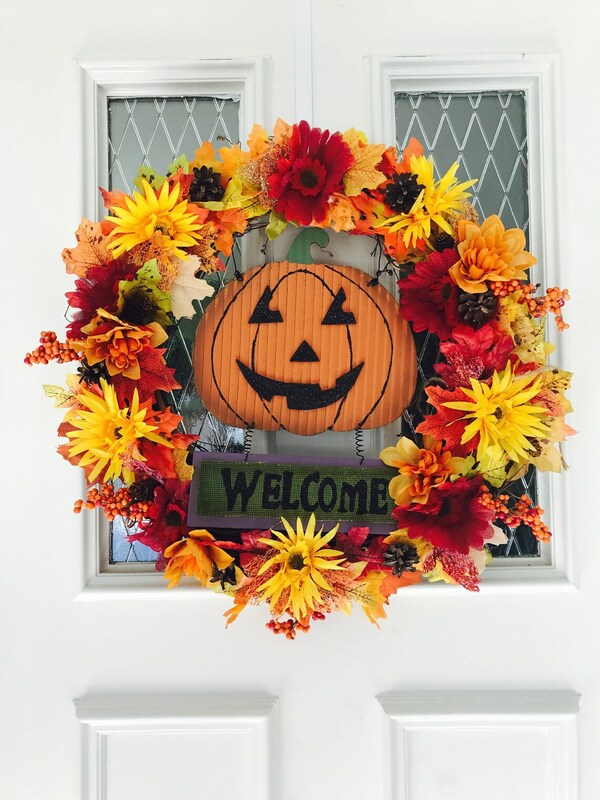 Featuring a Jack O Lantern Welcome sign and sparkly leaves this wreath will make your front door scream Halloween! Makes a great gift! The wreath itself is 14″ and the measurements of the wreath itself are approx. 21″ tall x 21″ wide. Extra large fall wreath for your front door in the colors of rust, orange, and green, with multiple rich wired ribbons, and a very large whimsical smiling jack-o-lantern. Among the whimsy is an elegant wreath! This extra large whimsical fall wreath features a jack-o-lantern with a sweet welcoming smile. This extra large carved pumpkin’s sweet demeanor peaks out among the beauty of the floral arrangement. The entire wreath has a base of ombré fall deco mesh in colors of orange, natural and green with colors of rust, orange, and green artificial floral, ferns and grasses and is nestled among several textured wired ribbon bows making it a very full wreath. It’s a sheer beauty as well as a compliment to the celebrations of Fall/Harvest, Halloween, and Thanksgiving!